Did you know that students looking to book flights to New York outnumber any other destination? We work with our major airline partners including Virgin Atlantic, British Airways, Delta Air Lines and more to be able to secure the very best cheap flights to New York for you. 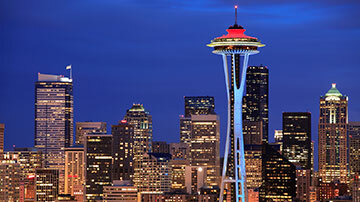 Whether you are looking for a weekend getaway, are headed to New York to start a gap year or even looking to book a one-way flight, with our cheap flights to New York from London, Manchester, Birmingham, Edinburgh and other UK airports, you’ll always get the best deal at StudentUniverse. 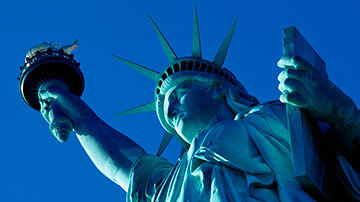 Looking for cheap flights to New York from Manchester? Whether you are at university in the city, live close by or just really like the duty free selection at the airport, there are a number of options to get you to the city that never sleeps for less. Delta Air Lines and Virgin Atlantic offer direct flights from Manchester to New York, whilst a stop off en route in Reykjavik is possible when you book your cheap flight to New York with Icelandair. 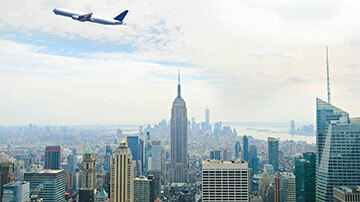 If you’re a student or youth, you’ll always find the best value flights from Manchester to New York at StudentUniverse. When it comes to booking your student flights from London to New York, the world really is your oyster. With six of our airline partners offering daily direct flights, including Virgin Atlantic and British Airways, and a whole host of others offering cheap flights to New York with a stopover, you are spoiled for choice. You can also choose to fly directly from either London Gatwick or London Heathrow. As our most popular route for student travellers, we’ve negotiated some fantastic discounts meaning StudentUniverse will always be the best value place to book your flight from London to New York.